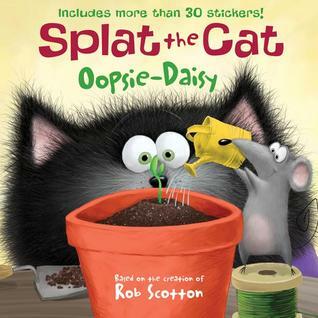 Splat the Cat’s best friend Seymour the Mouse found a little seed. It could be anything, maybe a wild rose bush or a very tall tree. Splat and Seymour went to the library to find out how to grow the seed. The planted it and waited a very, very long time, they watered it, sang to it, and told it stories until finally it sprouted. They watched and waited some more. They measured how tall it was growing. And then it bloomed… it was a daisy! And Splat knew just who to give it to, his Mom. Pete is a cool cat. Nothing bothers him… not even losing all his buttons. 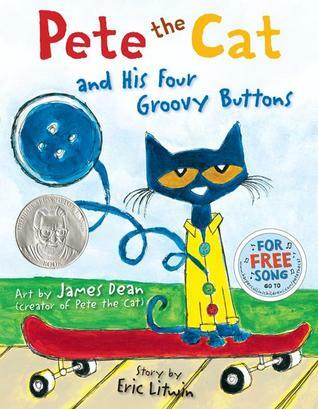 Pete sings a song about his four groovy buttons, then his three groovy buttons, his two groovy buttons, no wait, only his one groovy button. When Pete loses all his groovy buttons, he sings a song about his belly button. What a groovy cool cat Pete is! June 4th was Hug Your Cat Day. 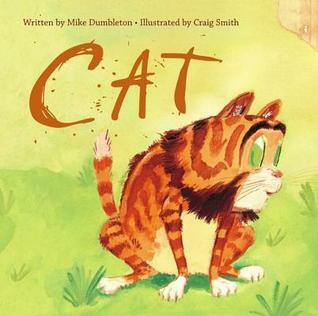 Check out more titles HERE.